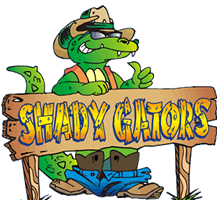 Copyright © 2018 Shady Gators. All Rights Reserved. Website design and hosting by MSW Interactive Designs LLC. We put the web to work for you!